The Lateral position is someone with police/peace officer experience within the State of California. An Academy Attendee is someone who is currently attending a California P.O.S.T. Basic Academy while an Academy Graduate is someone who has successfully completed a California POST Basic Academy within the last six (6) months. Any Academy Graduate who submits an application beyond six (6) months of their graduation date will have their application reviewed by the current Recruiting Unit Supervisor. Upon review, an Academy Graduate will be required to attend the San Jose Police Academy. The San Jose Police Department does not accept out-of-state lateral police officer transfers or federal law enforcement transfers who have completed the California P.O.S.T .Basic Course Waiver. All law enforcement officers wishing to transfer from out-of-state or from a federal law enforcement agency must apply as police recruit applicant and then attend the San Jose Police Academy. STEP #1: QUALIFICATIONS You must meet the following qualifications. If you meet them, move on to step #2. Currently employed as a California Police/Peace Officer with a CA Basic P.O.S.T. certificate and has completed a patrol field training program OR Possess a California P.O.S.T. Academy graduation certificate within the last SIX months OR Currently, an attendee at a California P.O.S.T. Basic Academy who successfully completes the academy consecutively at the time of its designated graduation date. Must be 21 years old and not older than age 70 Must possess a valid California driver's license Must possess a U.S. high school diploma or general education diploma (GED) Must have completed at least 60 semester college credits or 90 quarter college credits from an accredited college or university (credits from a CA P.O.S.T. Academy apply). Click here for more information on accredited institutions accepted . Must possess U.S. Citizenship or permanent resident alien who has applied for citizenship • Must have at least 20/40 uncorrected vision. View our vision requirements . Cannot have any felony, domestic violence, misdemeanor assault convictions or currently be on parole or probation. STEP #2 APPLICATION If you meet the qualifications, Apply Here using the Police Lateral / Academy Attendee, Graduate Application. THE POSITION You must have experience as a Police Officer with a law enforcement agency to qualify for this position. Please review "Qualifications - Lateral Entry" within this job announcement. Police Officer (Lateral) duties may consist of patrolling a designated area of the city, answering radio dispatches or citizens' requests for police services, conducting investigations, testifying in court, providing traffic control, attending community meetings, evaluating and controlling violent situations and subjects, providing first aid, driving vehicles under hazardous and emergency conditions, and training new employees in proper police procedures. Police officers may be assigned to work any shift. *Appointments may be made between $4,955 - $6,025 based on qualifications and/or incentives. Incentive pay begins on the first day of employment. DEFINITION To provide services through the enforcement of laws and ordinances. DISTINGUISHING CHARACTERISTICS The classification of Police Officer is a journey level classification assigned full arrest and citation powers under the California Penal Code. Police Officer is distinguished from the Police Cadet classification in that it has full police authority to carry out the enforcement of laws and ordinances while the latter is a recruiting and training-level classification with no police authority. Police Officer is distinguished from the Police Sergeant classification in that it is a journey level classification which has no supervisory responsibilities except for training new employees while the latter has supervisory responsibility and directs work of subordinate personnel on a continual basis. Police Officers receive assignments and special instruction from higher ranking officers who also review the Police Officer's work. SUPERVISION RECEIVED AND EXERCISED General supervision is provided by higher level sworn personnel. ESSENTIAL DUTIES AND RESPONSIBILITIES Depending upon assignments, duties may include, but are not limited to the following: Patrol a designated area of the city on foot, on a motorcycle, or in a patrol car, jeep or van to preserve order, prevent crime and discover criminal acts, and make arrests. Answer radio dispatched or citizens' request for police services at accident scenes, domestic disputes, law violations, and peace disturbances. Conduct investigations, gather evidence, interview witnesses, take statements, make arrests, or write citations and make written reports at crime or accident scenes. Testify in court at criminal hearings and trials. Provide traffic control at accident scenes, fires, and congested areas. May work in plain clothes to conduct follow-up investigations, and to suppress vice or narcotics activities. Conduct lineups for identification of suspects. Attend community meetings to discuss crime problems. Evaluate and control violent situations and subjects. Order and direct emergency equipment at accident and disaster scenes. Search for missing subjects. Drive vehicles under hazardous and emergency conditions. Train new employees in proper police procedures. Provide first aid to injured or sick subjects. Perform related duties as assigned. QUALIFICATIONS *SEE LATERAL ENTRY REQUIREMENTS* Knowledge of: Federal, state, and city codes and ordinances relating to law enforcement. Modern approved principles and procedures of police work. Department rules and regulations. General Orders and directives. City streets and principal locations. Court and evidence procedures. Court decisions affecting police practices. Radio procedures. Ability to: Express him/herself in English in a clear, distinct, and understandable manner when speaking to individuals, to people of different socio-economic levels, before various public and community groups, and when testifying in court. Write clearly, accurately, concisely, and legibly using correct English, grammatical construction, and spelling. Read and interpret complex technical documents in English. Understand and carry out oral and written instructions. Observe, assimilate, remember, record, and recall pertinent facts and details. Read maps and mapped information. Apply selected knowledge (i.e., laws, statutes, court decisions, department policies, criminal investigation theories, etc.) in collecting, organizing, and analyzing a variety of information in order to decide on an appropriate and reasonable course of action. Deal with people of different socio-economic levels without arousing their antagonism. Analyze problems and rationally and calmly take effective action in emergency and stress situations. Plan and effectively present material orally to diverse groups. Deal courteously but firmly with the general public. Establish and maintain cooperative working relationships with co-workers and other City employees. Use firearms safely and accurately. Climb barriers, jump obstacles, and perform strenuous physical activities. Control resisting subjects with a minimum of force necessary to effect an arrest. Skill in: Driving a vehicle under hazardous conditions. The use of ancillary police weaponry and weaponless defense. The use of first-aid, including Cardio-Pulmonary Resuscitation techniques. EXPERIENCE AND EDUCATION *LATERAL ENTRY*- (1) High school diploma or G.E.D. equivalent and completion of sixty (60) semester units, or ninety (90) quarter units from an accredited college or university; AND (2) Possession of a valid P.O.S.T. Basic Certificate issued by the State of California; AND (3) Current employment as a full- time sworn peace officer in a California P.O.S.T. certified law enforcement department; and two (2) years as a full-time sworn peace officer in a California P.O.S.T certified law enforcement department. SPECIAL QUALIFICATIONS Age: Must be at least 2l years of age by the date of appointment. Citizenship: Must be a citizen of the United States by the date of appointment. Driver License: Possession of a valid California Class C Driver license at the time of appointment. Loss of the license is cause for discipline. Respiratory Protective Equipment: Work in this class requires wearing respiratory protective equipment at times. When assigned to such work, facial hair must be shaven when it interferes with the safe fitting of respiratory protective equipment. Felony Convictions: Free of felony convictions under California Government Code Section 1029. Residency Requirement: Employees in this classification must reside within thirty-five (35) air miles from the freeway interchange at W-X Streets, 29th - 30th Streets within one year following appointment. PROBATIONARY PERIOD Employees must complete eighteen (18) months of probation at a satisfactory performance level prior to gaining permanent status. THE SELECTION PROCEDURE 1. Application Review: (Pass/Fail) – All applicants must complete and submit a City of Sacramento employment application and a valid P.O.S.T. Basic Certificate issued by the State of California to the City of Sacramento Employment Office and a completed Supplemental Questionnaire. All necessary paperwork must be submitted before the application will be considered. Incomplete applications will not pass the application review; omitted information cannot be considered or assumed. We will be communicating with you by email (so make certain that you have a valid address that you check frequently - including your spam or junk folders). APPLICATION DEADLINES: EXAM#02027-17-7 Open Date: Wednesday, November 15, 2017 Cut-Off Date: Tuesday, December 26, 2017 **Cut-Off dates are tentative and subject to change without prior notification. ** 2. Supplemental Questionnaire : (Pass/Fail): - In addition to the City of Sacramento employment application, all applicants must complete and submit online responses to the supplemental questionnaire to the City of Sacramento Employment Office by the final filing deadline: Response(s) to the supplemental questionnaire must be submitted online; paper questionnaires will not be accepted. Incomplete supplemental questionnaires will not pass the review process, omitted information cannot be considered or assumed. A resume will not substitute for the information required in the supplemental questionnaire. 3. Oral Interview Test: (100%) – The oral interview test will consist of job-related questions. The Oral Interview Test is administered by the Sacramento Police Department. 4. Physical Agility Test: (Pass/Fail) – Lateral applicants who pass the oral interview test will be required to pass the physical agility test which includes several sequential events that must be completed within a specified time and point limit. The Physical Agility Test is administered by the Sacramento Police Department. QUESTIONS If you have specific questions regarding the Police Officer (Lateral) position, hiring process, etc. : Go to the Sacramento Police Department website at http://www.sacpd.org/ Send an email to police_recruiting@pd.cityofsacramento.org Call the Police Recruiting Office at (916) 808-0880. For questions concerning this job announcement and the application process: Visit the City of Sacramento Human Resources Department website at http://www.cityofsacramento.org/HR/Career-Opportunities ; Send an email to employment@cityofsacramento.org ; Call the Human Resources Department at (916) 808-5726; or Visit the Human Resources Department at Historic City Hall, 915 I Street, Plaza Level, Sacramento, CA 95814. THE POSITION DEFINITION To attend and participate in the Sacramento Police Department's Public Safety Communications Academy to receive basic training in answering telephone requests from the public for law enforcement services, including 9-1-1 Emergency calls. DISTINGUISHING CHARACTERISTICS Dispatcher Recruit is a training classification used for candidates qualified to learn the duties of a Dispatcher I. Incumbents undergo a formal classroom setting, computer lab, and hands-on training program in the Sacramento Police Department's Public Safety Communications Academy. Upon satisfactory completion of the training and graduation from the Academy, the Dispatcher Recruit will be placed on probationary status as a Dispatcher I and assigned to the Communications Center for further on-the-job training. Incumbents are tested throughout the Academy and must achieve passing grades in order to continue in the program. Failure to complete the Academy successfully will result in release from the academy. Dispatcher Recruit is distinguished from the Dispatcher I classification in that it is a classroom training classification, while the Dispatcher I classification involves on-the-job training. SUPERVISION RECEIVED Immediate supervision is provided by higher level Public Safety Communications personnel. ESSENTIAL DUTIES AND RESPONSIBILITIES A Dispatcher Recruit attends training sessions to receive instruction and learn dispatching methods in: Handling emergency situations. Stress Management/Crisis intervention Computer systems/telephone systems. Telephone answering techniques. Distinguish between calls for service and referrals. Enter calls for service or provide referrals. Map reading and geographies of the City of Sacramento. Departmental policy and procedures. Civil and criminal law. Police codes and priorities and abbreviations. City, Departmental and Divisional organization. Other related duties may also be performed; not all duties listed are necessarily performed by each individual holding this classification. QUALIFICATIONS Knowledge of: English grammar, usage, spelling and punctuation. Basic effective principles and practices of excellence in customer service. Skill in: The use of computer programs and keyboards. Ability to: Express him/herself in English in a clear, distinct, and understandable manner when speaking to individuals, before diverse populations, various public and community groups, and when testifying in court. Lean to effectively communicate with and elicit information from upset and irate citizens. Work under pressure and exercise good judgment in emergency situations. Exercise independent judgment and work with a minimum of supervision. Use a computer and keyboard to enter data provided verbally and in writing. Learn standard broadcasting rules and procedures. Learn City street system and physical layout of Sacramento. Understand and carry out oral and written directions. Value customers and co-works through provision of excellent customer service. EXPERIENCE AND EDUCATION Experience: One (1) year of paid customer service experience. Education: High school diploma or G.E.D. equivalent. And Completion of twelve (12) units from an accredited college or university. Substitution of Education: High school diploma or G.E.D. equivalent and four (4) years of paid customer service experience. Proof of Education: Proof of education such as college transcripts and/or degrees must be submitted to the City of Sacramento Employment Office in person, as an attachment(s) to the online application, faxed to (916) 596-1556, or e-mailed to employment@cityofsacramento.org by the final filing deadline. If submitting in person or via fax, please include your name and Exam #009113-18-4 on your documents. An applicant with a college degree obtained outside the United States must have education records evaluated by a credentials evaluation service. This evaluation must be submitted before you will be considered for any positions. Experience with computer terminals and radio broadcasting equipment is highly desirable. THE SELECTION PROCEDURE Please note, the City of Sacramento's preferred method of communication with applicants is via e-mail. As such, please ensure you verify the e-mail address on your application, and check your e-mail frequently, including your spam and junk folders. 1. Application: (Pass/Fail) – All applicants must complete and submit online a City of Sacramento employment application to the City of Sacramento Employment Office by the final filing deadline; Employment applications must be submitted online; paper applications will not be accepted. Employment applications will be considered incomplete and will be disqualified: If applicants do not list current and past job-related experience in the "Work Experience" section. Note: Qualifying experience is based on 40 hours per week (pro-rated if less than 40 hours/week). If "see resume" is noted in the "Work Experience" section; a resume will not substitute for the information required in the "Work Experience" section. Proof of required education must be submitted online with your application, delivered in person, or sent to the Employment Office by fax or mail by the final filing deadline. 2. CRITICALL Test: (Pass/Fail) - Candidates will receive further information regarding the CritiCall examination via e-mail following the final filing date of this posting. Examination options will include an online exam OR an onsite exam. Candidates who choose the online testing option and pass will be invited to a confirmatory onsite examination. Candidates who do not pass will not have the option to retest, and must reapply at a later date. The exam will be job related and may test your ability to: Follow rules and directions. Make decisions quickly and accurately based on rules you are provided. Enter data or information (such as names, telephone numbers, license plate sequences, etc.) into a computer using a keyboard. Hear, comprehend, summarize, and/or answer questions about information provided verbally in short story form. Use written information provided on lists (such as an alphabetically-sequenced telephone book). Recognize if bits of information, such as addresses or names, are similar or different. Quickly learn and later recognize information that is shown in writing, such as descriptions (e.g., red car, blue boat, green shirt). Perform basic arithmetic (such as addition, subtraction, percentages) without a calculator or other tools. Hear and remember pieces of information, such as telephone numbers or license plate numbers, for a short period of time. Evaluate information provided in order to prioritize or categorize incidents. Evaluate information and identify the most correct solution based upon that information. Determine routes and/or locations using very basic maps. (No prior map-reading training or experience is required to correctly respond to these questions.) Correctly spell commonly-used words which sound alike that might delay emergency assistance if misspelled (e.g., patience instead of patients). Communicate using sentences or phrases that clearly express the intended meaning. Read and comprehend written passages. 3. ELIGIBLE LIST: Candidates who pass the CritiCall test, will be placed in the Dispatcher Recruit candidate pool for one (1) year with the possibility of the list being extended for an additional year. You are not required to re-apply for this position if you have successfully passed the CritiCall test and your name is in the current Dispatcher Recruit candidate pool. QUESTIONS For questions concerning Drug Use Standards or the Background process: Visit the Police Department web site at http://www.sacpd.org/ OR; Call the Police Recruiting Office at (916) 808-0880 OR; Send an email to police_recruiting@pd.cityofsacramento.org For questions concerning the Sacramento Police Department's Public Safety Communications Academy: Call the Sacramento Police Department's Public Safety Communications Academy at (916) 277-1740. For questions concerning this job announcement and the application process: Visit the City of Sacramento Human Resources Department's website at http://www.cityofsacramento.org/HR/Career-Opportunities OR; Call the Human Resources Department at (916) 808-5726 OR; Send an email to the Human Resources Department at Employment@cityofsacramento.org OR; Visit the Human Resources Department at Historic City Hall, 915 I Street, Plaza Level, Sacramento, CA 95814. THE POSITION Under general direction the Program Specialist plans, directs, and supervises all of the activities of a major department or Citywide program or project with moderate visibility and impact; conducts studies and makes recommendations; monitors program compliance; represents the department in contacts with media, internal and external agencies, and organizations. IDEAL CANDIDATE STATEMENT The City of Sacramento's Human Resources Department is seeking their next Program Specialist! The ideal candidate will be a Human Resources professional experienced in project management; writing and coordinating the implementation of policies and procedures; coordinating Human Resources activities with other departments; preparing and maintaining a variety of statistical records; and developing and implementing strategic plans. DISTINGUISHING CHARACTERISTICS This advanced journey level class in the professional series is populated with multiple incumbents. The Program Specialist is distinguished from the next lower class of Program Analyst in that the Program Specialist manages multiple programs or moderately visible programs with greater department or Citywide impact. This class is distinguished from the next higher classification of Program Manager in that the Manager is responsible for administration and management of programs and projects with high visibility and substantial Citywide impact. This class is distinguished from the class of Administrative Officer in that the latter is responsible for all internal administrative functions for a department. SUPERVISION RECEIVED AND EXERCISED General direction is provided by a department or division head. Some assignments require responsibility for direct or indirect supervision of lower level professional, technical, and clerical personnel. Some positions function as internal consultants and require coordination among multiple divisions in a department. ESSENTIAL DUTIES AND RESPONSIBILITIES Plans, coordinates, and administers, a project or program with department or Citywide impact; supervises, trains and evaluates the work of professional, technical and clerical staff. Confers with department heads, division managers, members of professional staff, and other officials concerning the administrative needs and requirements related to the program or project; represents the program in contacts with news media, business and civic organizations, other City departments, and various outside public and private agencies. Interprets new policies, procedures, and regulations, and develops new or amended programs or projects as need dictates, monitors program objectives to assure compliance with State and administrative regulations and program guidelines. Conducts studies and surveys, performs research and analysis and prepares recommendations for department management; monitors and evaluates program effectiveness and outcomes; creates and implements program policies and procedures; develops guidelines, forms and related documents. Reviews grant opportunities; compiles and analyzes information for preparation of grants, contracts and agreements; negotiates terms; implements, monitors and prepares reports on conduct and performance of grants. Identifies program, project or system enhancements; selects and coordinates installation of new and revised programs and systems. Provides exceptional customer service to those contacted in the course of work. Other related duties may also be performed; not all duties listed are necessarily performed by each individual holding this classification. QUALIFICATIONS Knowledge of: Principles and practices of public administration and governmental finance, budgeting, and accounting. Procurement methods. Research techniques, methods and procedures. Methods and practices of modern office management. Principles and practices of program management and administration. Technical report writing. Methods of analysis. Principles and practices of supervision. Skill in: Managing multiple tasks and deadlines. Customer service, including dealing with people under stress, and problem solving. Use of computers, computer applications, and software. Ability to: Effectively plan, develop, and implement a comprehensive program with a broad scope and high degree of complexity. Supervise and direct professional, technical, and clerical staff. Analyze fiscal problems and make sound policy and procedural recommendations. Make effective presentations to public officials, committees, and outside agencies. Establish and maintain effective working relationships with employees and the general public. Prepare technical and analytic reports. Communicate effectively, orally and in writing. Make program or project changes based on analysis of results, new legislation, or departmental changes. Meet multiple deadlines. EXPERIENCE AND EDUCATION Experience: Four years of progressively responsible professional-level administrative experience. -AND- Education: A Bachelor's Degree from an accredited four-year college or university with major coursework in business or public administration or a closely related field. Note: It is highly desirable the required years of professional-level experience be attained in a governmental jurisdiction. Substitution: Additional qualifying experience may substitute for the required education on a year for year basis. PROOF OF EDUCATION Proof of education such as college transcripts and degrees must be submitted to the City of Sacramento Employment Office in person, as an attachment(s) to the online application, faxed to (916) 596-1556, or emailed to employment@cityofsacramento.org by the final filing deadline. If submitting in person or via fax/email, please include your name and Recruitment #001799-18-HR on your documents. Unofficial documents and/or copies are acceptable. Important note: Applications will be rejected without proof of education. An applicant with a college degree obtained outside the United States must have education records evaluated by a credentials evaluation service. This evaluation must be submitted before you will be considered for any positions. SPECIAL QUALIFICATIONS Driver License: Possession of a valid California Class C Driver License at the time of appointment. Individuals who do not meet this requirement due to physical disability will be reviewed on a case-by-case basis. THE SELECTION PROCEDURE Please note, the City of Sacramento's preferred method of communication with applicants is via e-mail. As such, please ensure you verify the e-mail address on your application, and check your e-mail frequently, including your spam and junk folders. All e-mail notifications can also be accessed through the governmentjobs.com applicant inbox. 1. Application: (Pass/Fail) – All applicants must complete and submit online a City of Sacramento employment application to the Employment Office: Employment applications must be submitted online; paper applications will not be accepted. Employment applications will be considered incomplete and will be disqualified: If applicants do not list current and past job-related experience in the "Work Experience" section. Note: Qualifying experience is based on 40 hours per week (pro-rated if less than 40 hours/week). If "see resume" is noted in the "Work Experience" section; a resume will not substitute for the information required in the "Work Experience" section. Proof of required education and/or degree equivalency must be submitted online with your application, emailed to employment@cityofsacramento.org , delivered in person, or sent to the Employment Office by fax or mail by the final filing deadline. 2. Supplemental Questionnaire: (Pass/Fail) – In addition to the City of Sacramento employment application, all applicants must complete and submit online responses to the supplemental questionnaire: Responses to the supplemental questionnaire must be submitted online; paper questionnaire will not be accepted. Incomplete supplemental questionnaire will not pass the review process; omitted information cannot be considered or assumed. A resume will not substitute for the information required in the supplemental questionnaire. Possession of the minimum qualifications is not necessarily a guarantee of further advancement in the selection process. 3. Screening Committee : (Pass/Fail)– Human Resources will evaluate employment applications for the minimum qualifications stated on the job announcement. 4. Interview Process : Human Resources will forward qualified applications to the hiring department. Those determined to be the most qualified candidates will be invited to participate in an interview process. The Director will review the results, if necessary conduct additional interviews, and forward the recommendation to the City Manager's Office for final action. 5. Conditional Hire: Upon receipt of a conditional offer, the selected candidate must complete LiveScan / fingerprinting and receive Human Resources approval prior to receiving a start date from the Department. QUESTIONS: For questions concerning this job announcement and the application process: Please visit https://www.governmentjobs.com/Home/ApplicationGuide for a comprehensive, step-by-step guide to the application process. For technical support between 6 AM - 5 PM PT, contact Live Applicant Support at (855) 524-5627. Visit the City of Sacramento Human Resources Department website at http://www.cityofsacramento.org/HR/Career-Opportunities ; Send an email to employment@cityofsacramento.org ; Call the Human Resources Department at (916) 808-5726; or Visit the Human Resources Department at Historic City Hall, 915 I Street, Plaza Level, Sacramento, CA 95814. THE POSITION DEFINITION To attend and participate in the Sacramento Police Department's Public Safety Communications Academy to receive basic training in answering telephone requests from the public for law enforcement services, including 9-1-1 Emergency calls. DISTINGUISHING CHARACTERISTICS Dispatcher Recruit is a training classification used for candidates qualified to learn the duties of a Dispatcher I. Incumbents undergo a formal classroom setting, computer lab, and hands-on training program in the Sacramento Police Department's Public Safety Communications Academy. Upon satisfactory completion of the training and graduation from the Academy, the Dispatcher Recruit will be placed on probationary status as a Dispatcher I and assigned to the Communications Center for further on-the-job training. Incumbents are tested throughout the Academy and must achieve passing grades in order to continue in the program. Failure to complete the Academy successfully will result in release from the academy. Dispatcher Recruit is distinguished from the Dispatcher I classification in that it is a classroom training classification, while the Dispatcher I classification involves on-the-job training. SUPERVISION RECEIVED Immediate supervision is provided by higher level Public Safety Communications personnel. ESSENTIAL DUTIES AND RESPONSIBILITIES A Dispatcher Recruit attends training sessions to receive instruction and learn dispatching methods in: Handling emergency situations. Stress Management/Crisis intervention Computer systems/telephone systems. Telephone answering techniques. Distinguish between calls for service and referrals. Enter calls for service or provide referrals. Map reading and geographies of the City of Sacramento. Departmental policy and procedures. Civil and criminal law. Police codes and priorities and abbreviations. City, Departmental and Divisional organization. Other related duties may also be performed; not all duties listed are necessarily performed by each individual holding this classification. QUALIFICATIONS Knowledge of: English grammar, usage, spelling and punctuation. Basic effective principles and practices of excellence in customer service. Skill in: The use of computer programs and keyboards. Ability to: Express him/herself in English in a clear, distinct, and understandable manner when speaking to individuals, before diverse populations, various public and community groups, and when testifying in court. Lean to effectively communicate with and elicit information from upset and irate citizens. Work under pressure and exercise good judgment in emergency situations. Exercise independent judgment and work with a minimum of supervision. Use a computer and keyboard to enter data provided verbally and in writing. Learn standard broadcasting rules and procedures. Learn City street system and physical layout of Sacramento. Understand and carry out oral and written directions. Value customers and co-works through provision of excellent customer service. EXPERIENCE AND EDUCATION Experience: One (1) year of paid customer service experience. Education: High school diploma or G.E.D. equivalent. And Completion of twelve (12) units from an accredited college or university. Substitution of Education: High school diploma or G.E.D. equivalent and four (4) years of paid customer service experience. Proof of Education: Proof of education such as college transcripts and/or degrees must be submitted to the City of Sacramento Employment Office in person, as an attachment(s) to the online application, faxed to (916) 596-1556, or e-mailed to employment@cityofsacramento.org by the final filing deadline. If submitting in person or via fax, please include your name and Exam #009113-17-4 on your documents. An applicant with a college degree obtained outside the United States must have education records evaluated by a credentials evaluation service. This evaluation must be submitted before you will be considered for any positions. Experience with computer terminals and radio broadcasting equipment is highly desirable. THE SELECTION PROCEDURE Please note, the City of Sacramento's preferred method of communication with applicants is via e-mail. As such, please ensure you verify the e-mail address on your application, and check your e-mail frequently, including your spam and junk folders. 1. Application: (Pass/Fail) – All applicants must complete and submit online a City of Sacramento employment application to the City of Sacramento Employment Office by the final filing deadline; Employment applications must be submitted online; paper applications will not be accepted. Employment applications will be considered incomplete and will be disqualified: If applicants do not list current and past job-related experience in the "Work Experience" section. Note: Qualifying experience is based on 40 hours per week (pro-rated if less than 40 hours/week). If "see resume" is noted in the "Work Experience" section; a resume will not substitute for the information required in the "Work Experience" section. Proof of required education must be submitted online with your application, delivered in person, or sent to the Employment Office by fax or mail by the final filing deadline. 2. CRITICALL Test: (Pass/Fail) - Candidates will receive further information regarding the CritiCall examination via e-mail following the final filing date of this posting. Examination options will include an online exam OR an onsite exam. Candidates who choose the online testing option and pass will be invited to a confirmatory onsite examination. Candidates who do not pass will not have the option to retest, and must reapply at a later date. The exam will be job related and may test your ability to: Follow rules and directions. Make decisions quickly and accurately based on rules you are provided. Enter data or information (such as names, telephone numbers, license plate sequences, etc.) into a computer using a keyboard. Hear, comprehend, summarize, and/or answer questions about information provided verbally in short story form. Use written information provided on lists (such as an alphabetically-sequenced telephone book). Recognize if bits of information, such as addresses or names, are similar or different. Quickly learn and later recognize information that is shown in writing, such as descriptions (e.g., red car, blue boat, green shirt). Perform basic arithmetic (such as addition, subtraction, percentages) without a calculator or other tools. Hear and remember pieces of information, such as telephone numbers or license plate numbers, for a short period of time. Evaluate information provided in order to prioritize or categorize incidents. Evaluate information and identify the most correct solution based upon that information. Determine routes and/or locations using very basic maps. (No prior map-reading training or experience is required to correctly respond to these questions.) Correctly spell commonly-used words which sound alike that might delay emergency assistance if misspelled (e.g., patience instead of patients). Communicate using sentences or phrases that clearly express the intended meaning. Read and comprehend written passages. 3. ELIGIBLE LIST: Candidates who pass the CritiCall test, will be placed in the Dispatcher Recruit candidate pool for one (1) year with the possibility of the list being extended for an additional year. You are not required to re-apply for this position if you have successfully passed the CritiCall test and your name is in the current Dispatcher Recruit candidate pool. QUESTIONS For questions concerning Drug Use Standards or the Background process: Visit the Police Department web site at http://www.sacpd.org/ OR; Call the Police Recruiting Office at (916) 808-0880 OR; Send an email to police_recruiting@pd.cityofsacramento.org For questions concerning the Sacramento Police Department's Public Safety Communications Academy: Call the Sacramento Police Department's Public Safety Communications Academy at (916) 277-1740. For questions concerning this job announcement and the application process: Visit the City of Sacramento Human Resources Department's website at http://www.cityofsacramento.org/HR/Career-Opportunities OR; Call the Human Resources Department at (916) 808-5726 OR; Send an email to the Human Resources Department at Employment@cityofsacramento.org OR; Visit the Human Resources Department at Historic City Hall, 915 I Street, Plaza Level, Sacramento, CA 95814. THE POSITION The City of Sacramento, Department of Utilities, is seeking Associate Civil Engineers with a focus in water resources and utilities infrastructure related to water distribution and treatment and wastewater and storm drainage collection systems. Areas of focus include design of capital improvement projects, engineering construction support, operation and maintenance support, asset management, regulatory (water quality) compliance, development review, floodplain management, master planning, and hydraulic modeling. The ideal candidate will have experience in one or more of the focus areas listed above, the ability to work well in a team environment, and possess strong written and verbal communication skills. DEFINITION: To perform professional civil engineering work in the planning, design, technical investigation, and construction of projects in the areas of public works, transportation, hydraulics, and structural engineering. DISTINGUISHING CHARACTERISTICS: This is the full journey level class in the civil engineering series requiring registration. Positions in the class are flexibly staffed and are normally filled by advancement from the lower class of Assistant Civil Engineer, or, when filled from the outside, require prior advanced professional civil engineering work experience. An Associate Civil Engineer works under general supervision and is expected to complete complex civil engineering assignments requiring the use of judgment and initiative in developing solutions to problems, interpreting general policies, and determining work assignments. Work in this class is distinguished from that of the Assistant Civil Engineer class by the greater complexity of the assignments received and by the greater independence with which an incumbent is expected to operate. SUPERVISION RECEIVED AND EXERCISED: Direction is provided by a higher level professional engineer or a division head level position. Responsibilities of an Associate Civil Engineer may include the direct or indirect supervision of lower level professional engineers and technical personnel. ESSENTIAL DUTIES AND RESPONSIBILITIES Depending upon assignment, duties may include, but are not limited to, the following: Supervise and participate in the preparation of plans and specifications for the construction of water utility, street, storm drain and sanitary sewer pump stations, street lighting, traffic signal, buildings, and related public works and City building projects; research project design requirements; perform complex calculations and prepare estimates of material costs and time considerations. Assign routine inspection, investigation, design, and drafting tasks to technical subordinates; review completed work; assist in the solution of difficult problems. Research building codes, publications and industry information sources. Develop and revise design and construction standards. 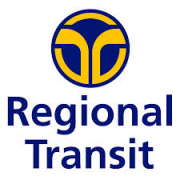 Participate in the implementation of the City's traffic and transportation engineering programs; prepare and revise plans and specifications for traffic related projects; prepare special studies and reports and coordinate major projects. Participate in the City's Building Code Compliance program. Investigate field problems affecting property owners, contractors, and maintenance operations. Order survey, mapping, and data collection. Prepare estimates and feasibility reports for new or modified services and structures. Administer contracts for construction projects. Participate in the plan check, review, and processing of plans for private developments affecting streets, sewers, drains and related public works facilities and ensure that they meet all City imposed requirements. Check building plans for compliance with City building codes and ordinances. Prepare special engineering studies and reports. Serve as staff to a variety of City commissions, boards, and committees on public works, utility matters, or building code appeals issues. Coordinate planning, design, and construction activities with other City departments, divisions, and sections, and with outside agencies. May supervise, train, and evaluate lower level professional, technical and clerical subordinates. Other related duties may also be performed; not all duties listed may necessarily be performed by each individual holding this classification. QUALIFICATIONS ASSISTANT CIVIL ENGINEER Knowledge of: Principles and practices of civil engineering as applied to public works, utilities, traffic, or building construction projects. Methods, materials, and techniques used in the construction of public works, building and utilities projects. Modern developments, current literature and sources of information regarding civil engineering and building codes and ordinances. Ability to: Make complex engineering computations and to check, design, and supervise the preparation of engineering plans and studies. Communicate clearly and concisely, orally and in writing. Use and care for engineering and drafting instruments and equipment. EXPERIENCE AND EDUCATION Any combination of education and experience that would provide the required knowledge and abilities is qualifying. A typical way to obtain the knowledge and abilities would be: Experience: One year of experience in professional civil engineering work in one of the areas of assignments and Education: A bachelor's degree from an accredited college or university with major study in civil engineering. -Or- Possession of an Engineer-In-Training (EIT) certificate. All education requirements must be verifiable from records of satisfactory completion of courses. Proof of Required Education: Proof of education such as college transcripts, degrees, and verification of possession of a Certificate of Registration as a Professional Engineer in the State of California must be submitted to the City of Sacramento Employment Office in person, as an attachment(s) to the online application, or fax to (916) 596-1556 by the final filing deadline. If submitting in person or via fax, please include your name and Exam #011012-18-DOU on your documents. An applicant with a college degree obtained outside the United States must have education records evaluated by a credentials evaluation service. This evaluation must be submitted before you will be considered for any positions. ASSOCIATE CIVIL ENGINEER In addition to the qualifications for Assistant Civil Engineer : Knowledge of: City engineering policies and procedures. Principles of supervision and training. Ability to: Perform complex professional engineering work with a minimum of supervision. Supervise and train subordinates. EXPERIENCE AND EDUCATION Any combination of education and experience that would provide the required knowledge and abilities is qualifying. A typical way to obtain the knowledge and abilities would be: Experience Two years of experience comparable to that of an Assistant Civil Engineer in the City of Sacramento. License or Certificate: Possession of a Certificate of Registration as a Professional Engineer in the State of California. Certificate of Registration as a Professional Engineer must be verifiable. PROBATIONARY PERIOD Employees must successfully complete twelve (12) months of probation at a satisfactory performance level prior to gaining permanent status. THE SELECTION PROCEDURE Please note, the City of Sacramento's preferred method of communication with applicants is via e-mail. As such, please ensure you verify the e-mail address on your application, and check your e-mail frequently, including your spam and junk folders. 1. Application: (Pass/Fail) – All applicants must complete and submit online a City of Sacramento employment application to the Employment Office by the final filing deadline; Employment applications must be submitted online; paper applications will not be accepted. Employment applications will be considered incomplete and will be disqualified: If applicants do not list current and past job-related experience in the "Work Experience" section. Note: Qualifying experience is based on 40 paid hours per week (pro-rated if less than 40 hours/week). If "see resume" is noted in the "Work Experience" section; a resume will not substitute for the information required in the "Work Experience" section. Proof of required certification, education and/or degree equivalency must be submitted online with your application, delivered in person, or sent to the Employment Office by fax or mail by the final filing deadline. 2. Supplemental Questionnaire : The Supplemental Questionnaire is the Training and Experience Exam (Weighted 100%). Only the applicants who meet the minimum qualifications will become candidates and their supplemental questionnaire will be rated and scored. This exam will evaluate the relevance, level, and progression of a candidate's education, training and experience. Therefore, your responses to the supplemental questionnaire should be thorough and complete because the exam score will determine your ranking on the eligible list for this job. When completing the supplemental questionnaire, please note: Responses to the supplemental questionnaire must be submitted online; paper questionnaires will not be accepted. Incomplete supplemental questionnaires will not pass the review process; omitted information cannot be considered or assumed. A resume will not substitute for the information required in the supplemental questionnaire. 3. Eligibility - Candidates who score high enough on the Training and Experience Evaluation will will be placed on an eligible list. The hiring department may contact candidates for interview at any time during the life of the one-year list. 4. Conditional Hire: Upon receipt of a conditional offer, the selected candidate must complete LiveScan / fingerprinting and receive Human Resources approval prior to receiving a start date from the Department. QUESTIONS: For questions concerning this job announcement and the application process: Please visit https://www.governmentjobs.com/Home/ApplicationGuide for a comprehensive, step-by-step guide to the application process. Visit the City of Sacramento Human Resources Department website at http://www.cityofsacramento.org/HR/Career-Opportunities; Send an email to employment@cityofsacramento.org ; Call the Human Resources Department at (916) 808-5726; or Visit the Human Resources Department at Historic City Hall, 915 I Street, Plaza Level, Sacramento, CA 95814. DEFINITION Under supervision, to perform general clean-up and maintenance tasks. Delivers and operates miscellaneous equipment as required. DISTINGUISHING CHARACTERISTICS Employees in this classification are non-career. SUPERVISION RECEIVED AND EXERCISED Immediate supervision is provided by higher level personnel. ESSENTIAL DUTIES AND RESPONSIBILITIES Dependent upon assignment, duties may include, but are not limited to the following: Sweeps, cleans, and maintains buildings and other facilities. Performs janitorial and ground maintenance. Disinfects and scrubs toilet facilities and showers. Assists in maintaining the City's water, sewer, and flood control system by picking up debris, clearing weeds, cleaning tanks, sedimentation basins, and screens. Prepares baseball and softball fields for games. Delivers and operates equipment. Assists in maintaining pool facilities. Assists as necessary in special programs relating to recreation activities. Performs related work as required. QUALIFICATIONS Ability to: Perform a variety of physically demanding cleaning and maintenance tasks for extended periods of time. Follow oral and written instructions. Work day shift, night shift, and weekends. Establish and maintain effective relationships with employees and the general public. DRIVER'S LICENSE Some assignments may require a valid California Class C Driver License. THE SELECTION PROCEDURE 1. Application: (Pass/Fail) – All applicants must complete and submit online a City of Sacramento employment application by the final filing deadline ( Open/Continuous ); Employment applications must be submitted online; paper applications will not be accepted. Human Resources will be communicating with you by email (so make certain that you have a valid email address that you check frequently - including your SPAM or JUNK folders). 2. Supplemental Questionnaire: (Pass/Fail) – In addition to the City of Sacramento employment application, all applicants must complete and submit online responses to the supplemental questionnaire to the City of Sacramento Employment Office by the final filing deadline (Open/Continuous) ; Responses to the supplemental questionnaire must be submitted online; paper questionnaire will not be accepted. Incomplete supplemental questionnaire will not pass the review process; omitted information cannot be considered or assumed. A resume will not substitute for the information required in the supplemental questionnaire. 3. Screening Committee: (Pass/Fail) - Human Resources will forward employment applications of individuals who submitted all the required documents (i.e. City of Sacramento Application and Supplemental Questionnaire) to the hiring department. 4. Hiring Interview: Those candidates determined to be the MOST QUALIFIED will be invited to participate in an interview process coordinated by the hiring department. A hiring interview is not guaranteed. There will be no eligible list established, as positions will be seasonal and/or non-career part-time. 5. Conditional Hire: Upon receipt of a conditional offer or hire, the candidates will go through the process of certification, finger print/background clearance and pre-employment medical clearance. QUESTIONS: For questions concerning this job announcement and the application process: Visit the City of Sacramento Human Resources Department website at http://www.cityofsacramento.org/HR/Career-Opportunities ; Send an email to employment@cityofsacramento.org ; Call the Human Resources Department at (916) 808-5726; or Visit the Human Resources Department at Historic City Hall, 915 I Street, Plaza Level, Sacramento, CA 95814. The Environmental Specialist III is the advanced journey and/or lead, applying scientific theory and methods to identify, research, and resolve environmental issues in the areas of regulatory compliance, public health, environmental health and pollution prevention. Examples of Knowledge and Abilities Knowledge Of Principles of environmental compliance assurance and environmental sciences Mathematical compilation & analysis Principles of chemistry & chemical reactions Effects of waste material on water quality & land quality and the interactions of waste with the environment Environmental practices with special reference to their general effect on public health & the quality of the environment Laws, codes, regulations, and policies affecting the department's operations & programs Applicable tools, equipment & materials Principles, procedures and practices of fact-finding, interviewing, and customer service Statistical methods and analysis Team dynamics and team building Leadership, mentoring and conflict resolution Ability To Read English at a level necessary to examine, interpret, and apply scientific, legal, technical, and complex guidelines, documents, records and reports Speak English at a level necessary to communicate clearly and effectively Write English at a level necessary to produce concise, accurate and impartial reports, narratives, summaries and recommendations Communicate, verbally and in writing, scientific and technical terminology into terms understandable to the general public Locate, research, interpret, and apply environmental laws and regulations Work independently within established guidelines, prioritize and coordinate activities, and meet critical deadlines Perform work assignments related to environmental inspections, compliance, monitoring, regulation, and research Work cooperatively with others Build and maintain constructive relationships with those encountered during course of work Respond effectively and tactfully to hostility, confusion or concerns expressed by others Collect, process, evaluate, and summarize scientific and technical data and ideas to make effective decisions and develop appropriate solutions Develop, prepare, and present studies and reports to governmental boards, civic organizations and other groups Effectively represent the department in contacts and relationships with the public, local business community and other government agencies Use sound judgment and personal initiative to accomplish assignments Use appropriate interpersonal style and approach to ensure team cohesiveness and cooperation Perform complex work regarding environmental inspections, compliance, monitoring, regulation, and research Lead complex or sensitive work projects Provide work direction and instruction to scientific, technical and professional staff Review work for pertinence, accuracy and completeness Analyze complex environmental compliance problems, make statistical inferences from complex data, and develop recommendations or solutions Represent the department in contacts and relationships with the public, local business community, other government agencies, and the media Employment Qualifications Minimum Qualifications Either : 1. Graduation from an accredited college or university with major in health science, public health, natural science, physical science, environmental science, or a related field. AND Two years of professional experience in environmental regulation, analysis, or environmental research performing journey level duties and responsibilities equivalent to the Environmental Specialist (Level II) class in Sacramento County service. Or : 2. Possession of a Master's Degree from an accredited college or university in health science, public health, natural science, physical science, environmental science, or a related field. AND One year of professional experience in environmental inspections, enforcement, regulation, analysis, and/or research performing journey level duties and responsibilities equivalent to the Environmental Specialist (Level II) class in Sacramento County service. Note : Up to one year of the required education may be substituted with full time or equivalent part time experience similar to that described, on the basis of 173.6 hours = 21.7 days = 1 work month = 3 semester or 4.5 quarter units. Note: The word "experience" referenced in the minimum qualifications means full-time paid experience unless the minimum qualification states that volunteer experience is acceptable. Part-time paid experience may be accumulated and pro-rated to meet the total experience requirements. Note: If the minimum qualifications include an educational or certificate/license requirement, applicants must submit proof of requirements with the application. Failure to submit proof of requirements may result in disqualification from the examination. Unofficial transcripts are acceptable. For guidelines on submitting acceptable proof of educational requirements, please click here (Download PDF reader) or speak to someone in our office before the final filing or cut-off date listed in this notice. Special Requirements License Requirement: A valid California Driver License, Class C or higher is required prior to appointment to this class. Failure to maintain a valid License may constitute cause for termination from this class in accordance with Civil Service Rules. Individuals who do not meet this requirement due to disability will be reviewed on a case-by-case basis Special Skills: Some positions may require the ability to speak, read, and/or write a language, in addition to English, or knowledge of a specific culture, such as Black Culture, Mexican/Spanish Culture, or Asian Culture. Physical Requirements: Ability to stoop and kneel to conduct inspections, take water and other environmental samples, and inspect equipment; climb fences, stairs, and ladders; walk rough terrain and muddy fields; work in an underground environment; climb in and out of swimming pools under construction; wear protective clothing; normal hearing; normal verbal communication ability; visually distinguish between colors; calibrate and use technical and monitoring instruments; read gauges and meters; and see in dimly lit areas. Work Schedule and Conditions: Incumbents are subject to work in adverse weather conditions, emergency situations, and perform duties outside of normal working hours, as necessary. Professional Certification / Registration Requirements: Some positions require possession of a valid certification as a Registered Environmental Health Specialist (REHS) issued by the State of California. Some positions require possession of a valid certification as a Registered Dairy Inspector, issued by the State of California. Some positions may require possession of valid certifications, as deemed necessary by legislative mandate or appropriate regulatory authority in the State of California. NOTE : Failure to maintain required certification/registration constitutes cause for suspension or termination from the class in accordance with Civil Service Rules. Probationary Period The probationary period for this classification is six (6) months. Application and Testing Information APPLICATION Qualified applicants are encouraged to apply immediately. All applicants must complete and submit an online County of Sacramento employment application by 5:00 PM on the posted cut-off date. Click here to apply. County of Sacramento Department of Personnel Services Employment Services Division 700 H Street, Room 4667 Sacramento, CA 95814 Phone (916) 874-5593; 7-1-1 California Relay Service Inter-Office Mail Code: 09-4667 www.SacCountyJobs.net Employment applications and all documentation requested in this announcement must be submitted by 5:00 p.m. on the cut-off date. Employment Services is not responsible for any issues or delays caused by an applicant's computer or web browser. Applicants will be automatically logged out if they have not submitted their applications and all documentation prior to 5:00 p.m. on the cut-off date. Your application should highlight all relevant education, training, and experience, and clearly indicate how you meet the minimum qualifications for the position as of the cut-off date. Application information must be current, concise and related to the requirements in this job announcement. You may only apply for this recruitment once. Duplicate and incomplete applications will be disqualified. A resume may be included with your application, however it will not substitute for the information requested on the application. SUPPLEMENTAL QUESTIONNAIRE Applicants are required to provide a full and complete response to each supplemental question. The Supplemental Questionnaire is located in the tab marked "Supplemental Questions". Please be descriptive in your response. Note: Responses of "See Resume" or "See Application", or copy and paste of work experience are not qualifying responses and will not be considered. Supplemental Questionnaires must be submitted by 5:00 p.m. on the cut-off date. Employment Services is not responsible for any issues or delays caused by an applicant's computer or web browser. Applicants will be automatically logged out if they have not submitted their applications and all documentation prior to 5:00 p.m. on the cut-off date. The supplemental questions are designed to elicit specific information regarding a candidate's experience, education, and training. Responses should be consistent with the information on your application and are subject to verification. Please provide place of employment, pertinent dates, and concise, descriptive and detailed information for each question. If a job included responsibilities applicable to several questions, separate the different functions of the job to answer all the questions completely. Resumes or referral to the application or other questionnaire responses will not be accepted in lieu of completing each question. If you have no experience, write "no experience" for the appropriate question. For many individuals, it is more efficient to develop responses to the supplemental questions in a word processing document and then paste them into the final document to be submitted. Changes or corrections to your Supplemental Questionnaire cannot be made once your application packet has been submitted. If the Supplemental Questionnaire is used in the Formula Rate or Credentials Screening Panel exam, failure to complete all of the questions or incomplete responses will result in a lower score. While scoring the Supplemental Questionnaire, the candidate's application and/or attachments will not be reviewed, therefore, a candidate's responses to the questions should be accurate, thorough, detailed, and complete. FORMULA RATE EXAMINATION (Weighted 100%) All candidates meeting the minimum qualifications by the cut-off date will have their Supplemental Questionnaire scored in the Formula Rate Examination. This examination will evaluate the relevance, level, recency, progression and quality of candidate's education, training and experience. The candidate's application or other materials will not be included in this examination. Therefore, the candidate's responses to the supplemental questionnaire should be thorough, detailed and complete. The score from the Formula Rate Examination will determine the ranking on the eligible/employment list for this job. All candidates competing in the testing process will receive written notice of their examination results by email. Notices can also be accessed in their governmentjobs.com inbox. Applicants achieving a passing score will be placed on the eligible list in rank order. The rank is determined by the test score attained from the examination. FREQUENTLY ASKED QUESTIONS Click here (Download PDF reader) for Frequently Asked Questions (FAQ's) For information regarding County jobs: www.saccountyjobs.net Call (916) 874-5627 and you will be provided with a recorded message, accessible 24 hours a day. 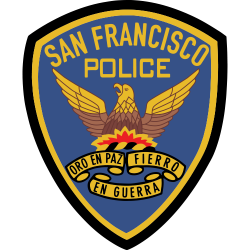 The City and County of San Francisco invites you to join a highly respected police department and serve the citizens of one of the most beautiful cities in the country. San Francisco Police officers perform a wide variety of essential duties to promote public safety and security and enforce the law. Our officers patrol districts to prevent and detect crime, respond to calls for assistance, conduct criminal investigations, pursue and arrest suspects and enforce traffic and parking laws. Our Mounted Unit, Marine Unit, K-9 Unit and Traffic Company ensure that SFPD is able to help keep the public safe, no matter the terrain. SFPD officers also work closely with San Francisco’s diverse communities to build cooperation and support in order to address crime and quality of life issues in our City’s neighborhoods. In addition to hosting citywide and neighborhood events ranging from safety fairs to barbecues, SFPD provides educational and employment programs for San Francisco youth. Our values include maintaining open communication with the communities we serve and respecting and protecting the rights of all residents. Serving the City as a San Francisco Police officer is much more than a job; it is an opportunity to build a career of which you can be proud.